The beauty of untouched nature covered with a blanket of snow combined with the depth of silence in a beautiful setting to get in touch with oneself, find some rest, feel alive and reconnect with what is really precious to us. 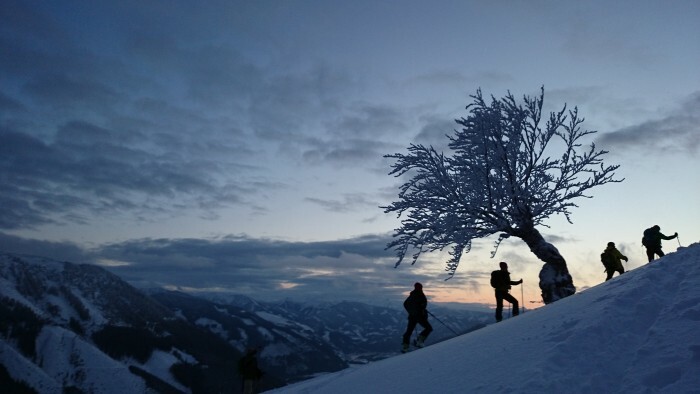 Snow-shoeing and ski touring are gentle ways to navigate through the quiet Alpine environment, and can lead us to a deep experience of our own rhythm, our body, our breathing and nature. To enhance our felt sense of the beauty, the silence, and of our own presence, we will also have some daily programs including meditations and teachings. • From Sunday to Saturday for one Week. Please register before the 7th of December. If you are interested in staying for both retreats, please contact us to discuss details. 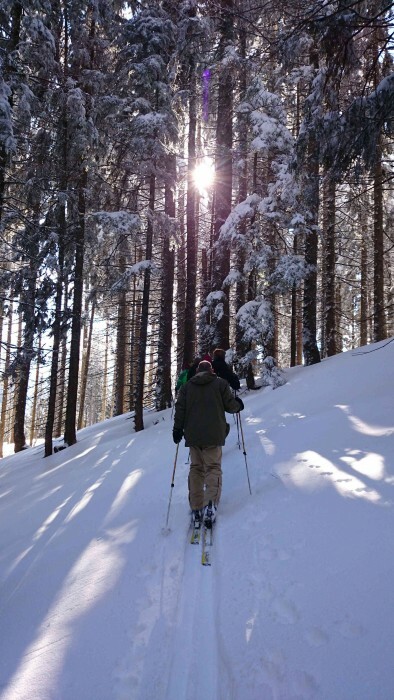 No experience is needed for meditation and snow-shoeing. 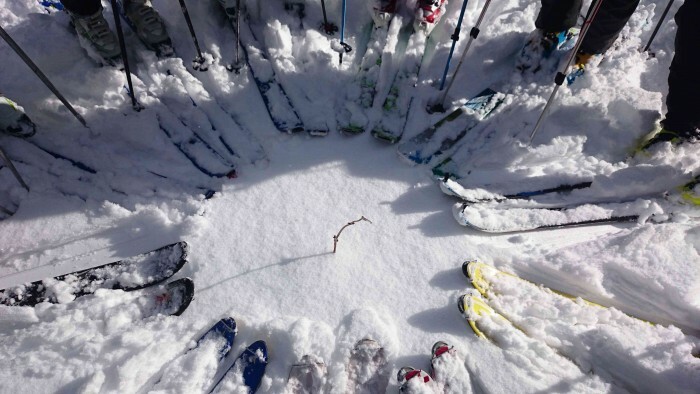 If you wish to register for skiing, you need to have the basic skills (being able to turn and to stop…). 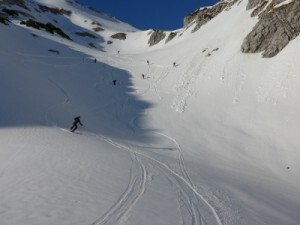 Ski-touring is quite different to cross-country skiing. We use “skins”, which are stuck to the bottom of the ski to climb uphill. At the top of the hill, the skins are removed, and then we ski downhill. 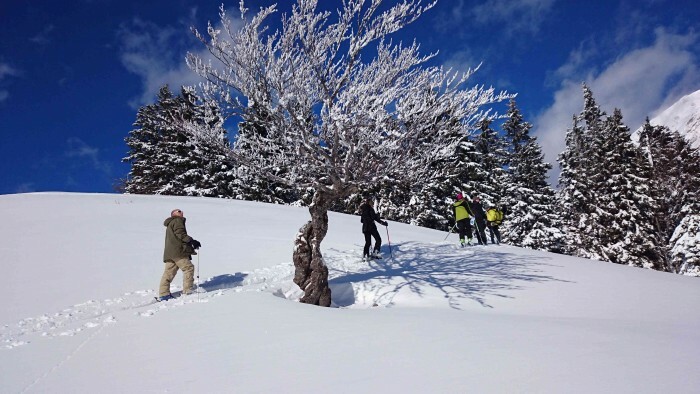 Snow-shoeing is another silent way of experiencing an alpine environment and does not involve skiing. The Rohrauerhaus is situated at 1308 m above sea level in an untouched Alpine environment one hour walk away from the last road. It is the perfect place for a retreat : away from our digital lifes, without network coverage. Despite its simplicity it offers many conveniences such as delicious vegetarian food and a meditation room. It is well heated, even when temperatures outside drop below zero. Robert Kerneza will provide the technical know-how and safety support for this retreat. 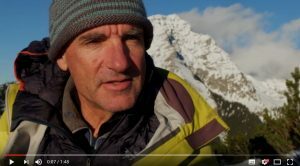 He’s been climbing for over 40 years and works as a certified ski touring guide. 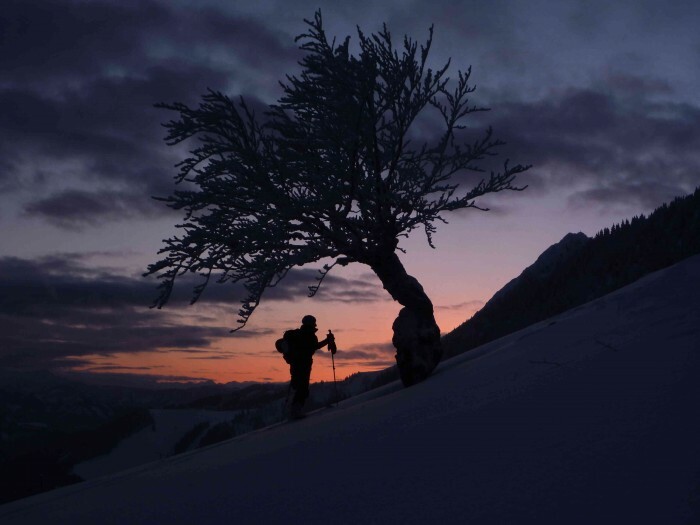 With his vast knowledge of ski touring, weather and snow conditions, and his quiet mountain mentality he found a very spiritual relationship to nature and will lead groups on this subject. Denis will lead the meditations, using the supportive context of being in this stunning wildness to explore ways to deepen our connection with what meditation really is. The participation fee: 215€ for Thursday to Sunday and 365€ Sunday to Saturday and covers only expenses. Additionally we will ask for Dana (a free donation for teachers and organizers, read about donation). Please contact us if you would like to come but your financial situation would prevent you from attending. To register please fill out this Online Registration Form. Or, for more privacy, send us an encrypted email (PGP Key) with the answers to the questions in the registration form. More details about registration, payment and storno are in the Registration Info.